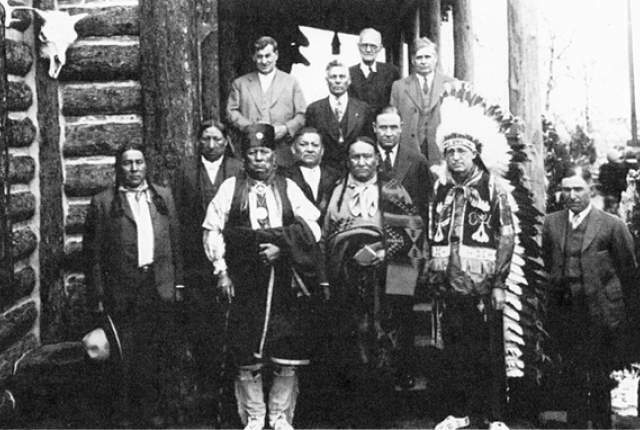 Soldiers battled Indians at Wounded Knee, and just a few years later, white settlers rushed into the Cherokee Strip in a race to claim the land once promised to Indians. The rulers of the Kingdom of Hawaii were overthrown, opening the door for the beautiful land to one day join the United States. As with any decade, there were good and bad things that happened, famous people born and people died. The 1890s brought the end of the Nineteenth Century, and ushered in the 1900s, which would prove to be a century of great change. The list below is certainly not inclusive of all that happened during the decade of the 1890's but rather a list of the highlights. December 13, 1890 - Wilbur and Orville Wright print the "Dayton Tattler" in their print shop in Dayton, Ohio. The paper was the creation of Paul Laurence Dunbar, an African American poet. December 29, 1890 - The Battle of Wounded Knee, South Dakota, occurs in the last major battle between United States troops and Indians. June 1, 1890 - Preparations for the United States census begin using an automated tabulating machine with punch cards invented by Herman Hollerith. It was a historic moment in the history of computing; Hollerith's company eventually became IBM. 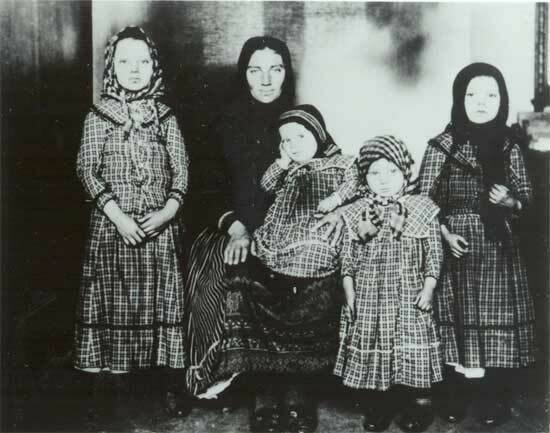 June 2, 1890 - The 1890 census indicates a population in the United States of 62,979,766, an increase of 25.5% since the 1880 census. Twenty miles east of Columbus, Indiana is now the geographic center of U.S. population. 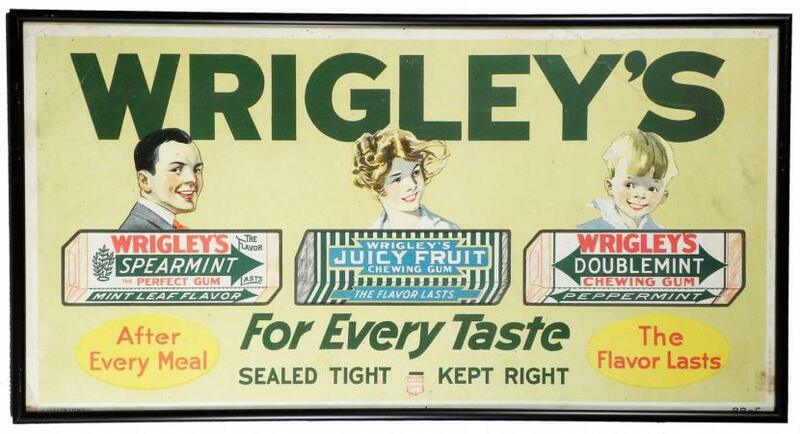 April 1, 1891 - The Wrigley Company is founded in Chicago, Illinois, originally selling soap, baking powder, and the next year, chewing gum. May 5, 1891 - Carnegie Hall, then known as Music Hall, opens its doors in New York with its first public performance under the guest conductor, Tchaikovsky. January 1, 1892 - Ellis Island, in New York Harbor, opens as the main east coast immigration center, and would remain the initial debarkation point for European immigrants into the United States until its closure in 1954. More than 12 million immigrants would be processed on the island during those years. October 12, 1892 - The first recital of the Pledge of Allegiance in U.S. public schools is done to mark the 400th anniversary of Columbus Day. 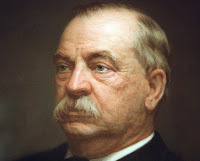 November 8, 1892 - Grover Cleveland returns to the presidency with his victory in the presidential election over incumbent President Benjamin Harrison and People's Party candidate James Weaver. January 14-17, 1893 - The United States Marines, under the direction of U.S. government minister John L. Stevens, but no authority from the U.S. Congress, intervene in the affairs of the independent Kingdom of Hawaii, which culminated in the overthrow of the government of Hawaiian Queen Liliuokalani. May 1, 1893 - The 1893 Chicago World Columbian Exposition, held on 686 acres and known affectionately as the White City, opens to the public. The world's fair hosted fifty nations and twenty-six colonies. 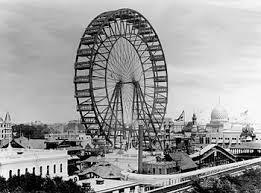 Known today as the architectural wonder that saw replication of the styles of its white buildings throughout the United States in many public buildings for years to come, as well as the public introduction of the Ferris Wheel, a behemoth construction that held up to 2,160 riders. May 5, 1893 - The New York Stock Exchange collapses, starting the financial panic of 1893. It would lead to a four-year period of depression. 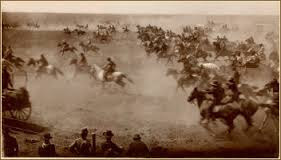 September 16, 1893 - The fourth of five land runs in Oklahoma's dash, known as the Oklahoma Land Race or the Cherokee Strip Land Run, opened seven million acres of the Cherokee Strip. It was purchased from the Indian tribe for $7,000,000. Nearly 100,000 people gathered around the 42,000 claims that were available to the first person, with a certificate, to stake a claim. November 7, 1893 - Women in Colorado are granted the right to vote. May 11, 1894 - A wildcat strike of three thousand Pullman Palace Car Company factory workers occurs in Illinois. November 5, 1895 - The first United States patent for the automobile, #549160, is granted to George B. Selden for his two stroke automobile engine. November 25, 1895 - Oscar Hammerstein opens the first theatre, Olympia, in the Times Square section of New York City. August 16, 1896 - Gold is discovered by Skookum Jim Mason, George Carmack and Dawson Charlie near Dawson, Canada, setting up the Klondike Gold Rush. November 3, 1896 - Republican William McKinley claims victory in the presidential election with a majority of Electoral College voters, 271 selected him over Democratic and People's Party candidate William J. Bryan with 176. December 10, 1896 - The New York City Aquarium at Castle Clinton opens on the tip of Manhattan Island. April 15, 1897 - Oil is discovered in Indian Territory for the first time on land leased from the Osage tribe, leading to rapid population growth near Bartlesville, Oklahoma. July 17, 1897 - The Klondike Gold Rush begins with the arrival of the first prospectors in Seattle. The Gold Rush would be chronicled beginning eight days later when Jack London sails to the Klondike and writes his tales. April 22, 1898 - The blockade of Cuba begins when the United States Navy aids independence forces within Cuba. Several days later, the U.S.A. declares war on Spain, backdating its declaration to April 20. On May 1, 1898, the United States Navy destroyed the Spanish fleet in the Philippines. On June 20, the U.S. would take Guam. May 12, 1898 - San Juan, Puerto Rico is bombed by the American navy under the command of Rear Admiral William T. Sampson. Puerto Rico is overtaken by the United States between July 25 with its landing at Guanica Bay and August 12. These acts during the Spanish-American War would ultimately result in Spain deciding in December to cede lands, including Puerto Rico, to the United States. December 10, 1898 - The Peace Treaty ending the Spanish-American War is signed in Paris. The Spanish government agrees to grant independence to Cuba and cede Puerto Rico, Guam, and the Philippines to the United States. March 2, 1899 - Mount Rainier National Park is established in Washington State. July 7, 1898 - The United States annexes the independent republic of Hawaii. 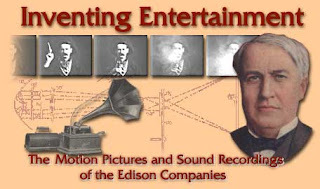 May 20, 1891 - The National Federation of Women's Clubs is the first public audience to view Thomas A. Edison's new strip motion picture film at Edison's West Orange, New Jersey laboratory. Later that year, Thomas Edison would patent the radio. June 21, 1891 - Alternating current is transmitted for the first time by the Ames power plant near Telluride, Colorado by Lucien and Paul Nunn. April 15, 1892 - The General Electric Company is formed, merging the Edison General Electric Company with the Thomson-Houston Company. April 14, 1894 - The first public showing of Thomas Edison's kinetoscope motion picture is held. September 1, 1897 - The era of the subway begins when the first underground public transportation in North America opens in Boston, MassachusettsFebruary 14, 1899 - The United States Congress approves the use of voting machines in federal elections. January 15, 1892 - James Naismith publishes the rules of basketball and the first official game of basketball is held five days later at the YMCA in Springfield, Massachusetts. September 7, 1894 - The fight between heavyweight boxing champ Gentleman Jim Corbett and Peter Courtney is caught on motion picture film by Thomas Edison at the Black Maria studio of his New Jersey laboratory. September 3, 1895 - The first professional football game is played in Latrobe, Pennsylvania. The Latrobe YMCA defeated the Jeannette Athletic Club 12-0. October 4, 1895 - The first United States Golf Open run by the USGA is held in Newport, Rhode Island. A thirty-six hole competition between ten professionals and one amateur, the winner was Englishman Horace Rawlins, who received prize money of $150. April 6-15, 1896 - The first modern Olympic Games is held in Athens, Greece. Thirteen nations participated, including the United States of America. It was held in Panathinaiko Stadium and had originated from an 1894 congress organized by Pierre de Coubertin who established the International Olympic Committee. April 19, 1897 - The first Boston Marathon is run with fifteen runners, won by John McDermott. Love Is Buzzing in the Good Old Summertime! Spend the sunny days of summer relaxing with an ice cold glass of lemonade and revel in the dreams of three brides who are a bit surprised by how the men of their dreams come into their lives. Journey to the Old West, stay on the prairie, and visit quaint small towns. 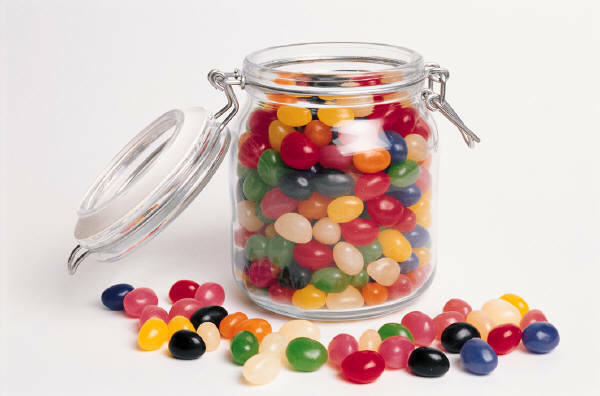 without leaving the comfort of your own front porch! 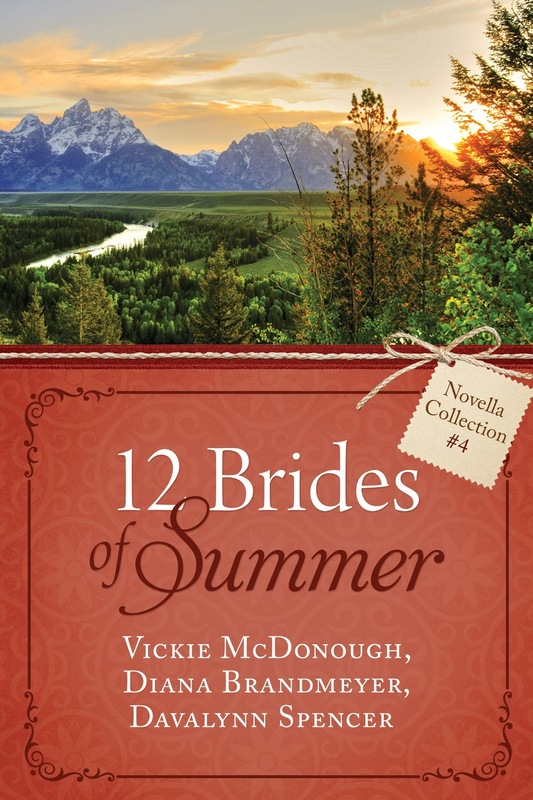 Note: There are twelve novellas in The 12 Brides of Summer Collection. The collection has been split into four 3-in-1 novella collections. Check online to find volumes 1 - 3. There are also several exclusive Walmart editions, so check your local stores. Vickie McDonough is the best selling author of more than 35 books and novellas. Her novels include the fun and feisty Texas Boardinghouse Brides series and the 3rd & 6th books in the Texas Trails series. Her novel, Long Trail Home, won the Inspirational category of the 2012 Booksellers’ Best Awards. Song of the Prairie, the final book in her Pioneer Promises series, set in 1870s Kansas, recently won the Short Historical category of the Inspirational Readers Choice Awards. 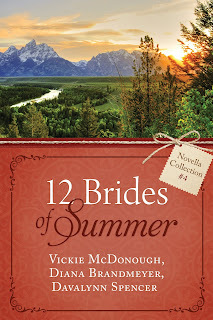 Vickie also enjoys writing Christmas novellas, which can be found in The Westward Christmas Brides Collection, The Christmas Brides Collection, and The 12 Brides of Christmas, which releases in September, but it now available for pre-sale online. Thanks for the info, Sharon. 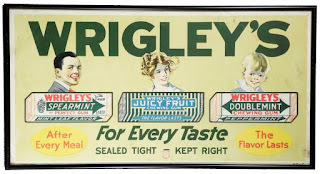 I haven't been to Seattle, but if I get to go, I'll definitely visit that museum. It sounds interesting. 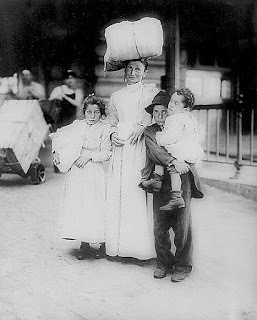 The 1890s decade is interesting to me because all four of my grandparents were born during this time. My mom's parents were both born in 1890, and my dad's were born in 1898. 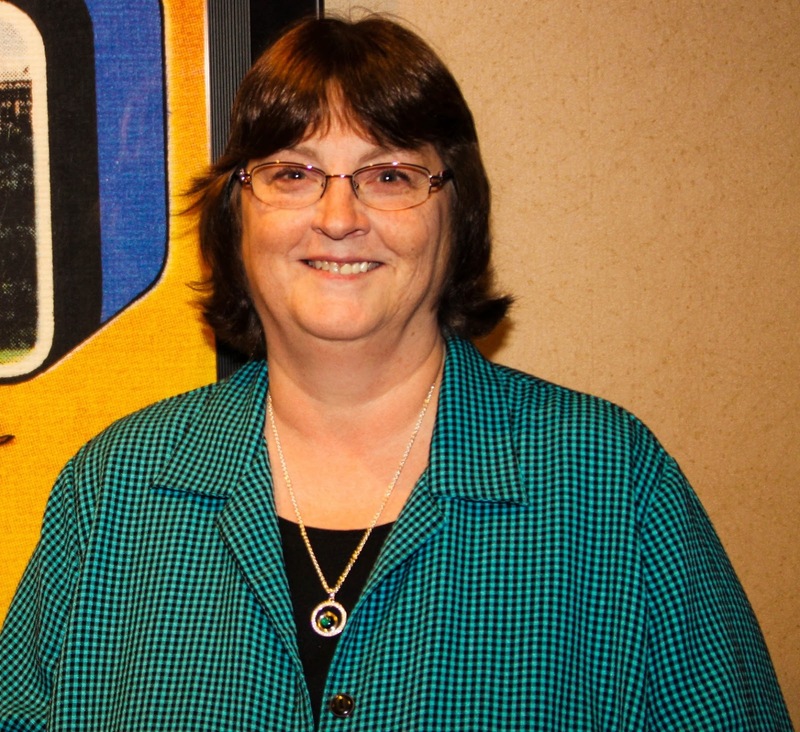 Welcome back, Vickie! It's good to have you online again. Thanks, Donna. That's an interesting fact about your grandparents. My dad's parents were born in 1874 & 1876--pretty mind-boggling.